Stop Slaving Over Your Diet And Start Building an Easy-to-Follow, Enjoyable, and Effective Strategy for Life. I was soon going to be thirty years old and couldn’t believe I was in this place. An overweight couch potato was not what I had envisioned when I was starting my twenties. 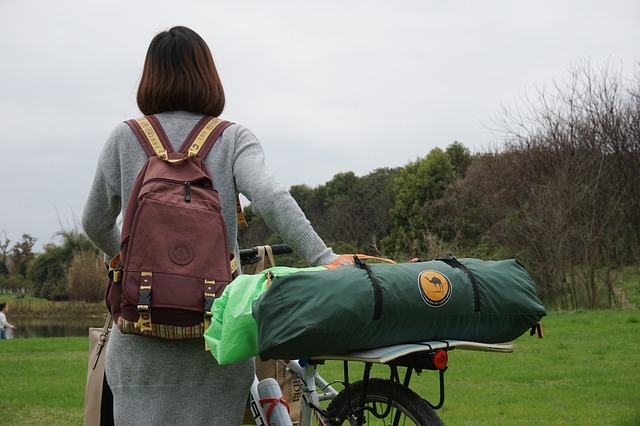 When you’re young everyone tells you that you need to do what makes you happy. This advice was confusing to me because it seemed as if sugar made me happy, but I ate a lot of it and I was miserable. I knew in my gut that my eating and weight problems were causing my dissatisfaction with life, but those problems were so big and all of the solutions seem so pointless. I tried diets that expected me to flip a switch and become a health nut overnight. They were overwhelming. I tried diets that held out the promise that small changes like drinking more water and chewing my food 20 times would solve the weight problems that had been dogging me for years. They didn’t work. I tried diets that made me measure and weigh everything I ate and count every calorie. They were frustrating. I knew that if I were going to get past the problem of being overweight, I would need to figure out a plan that was effective but didn’t rob my life of joy or take over my life. I couldn’t find that diet, so I created my own, and now I want to share the plan with you, so you can stop micromanaging your diet and take control of your weight. The Importance of the 3Es. Through my coursework as a college instructor of the Science of Nutrition, I was intrigued by the findings of a symposium on the growing obesity problem. The doctors participating in the conference discovered that people give up on their healthy living goals when they fail to see results or their plan is too complicated or mentally draining. In order for you to lose weight, your plan must fulfill the 3Es meaning it must be Easy-to-follow, Enjoyable, and Effective. Following a weight loss plan should not feel like you just took on a second job. There’s no need to get sucked into a complicated weight loss strategy that has you second guessing everything you eat. Those plans are old-school and leave you feeling confused, overwhelmed, and defeated. It’s time for a return to sanity. Follow along as I walk you through the dieting strategy I’ve used to engineer a 50-pound weight loss that I’ve maintained for more than 20 years. Your path to your ideal weight starts with a very simple acronym…0,1,2,3. These numbers represent four daily habits that give your body no choice but to lose weight. By following these habits, you’ll finally be able to get the biggest diet destroyer – sugar – out of your diet. The fact that sugar is so bad for your waistline probably does not come as a surprise to you, yet the thought of giving it up can feel scary, especially if you’ve tried to do this in the past but failed. Sugar is addictive, and I’m not going to pretend that breaking free from its stronghold is easy. However, it can be done when you feed your body the right way. You see, the secret to breaking free from sugar is to Add before you Subtract. Sugar is hidden in a lot of foods. When you subtract sugary foods and don’t add the correct foods to control cravings, you’ll feel hungry and miserable. When you download my 0,1,2,3 Diet Plan™ and start following the 0,1,2,3 lifestyle, you fill your body with high-volume, nutrient-rich foods that quiet your hunger hormones and eliminate cravings. “I want to let you know that your program is one of the best I’ve ever seen. I’m waiting to weigh myself until the end of my 40 days on September 30, but I can tell you that I already feel thinner, have more energy, and have an unfearful approach to what I’m eating. My withdrawal from sugar on your plan was without cravings vs. the last time I tried, which was very difficult. 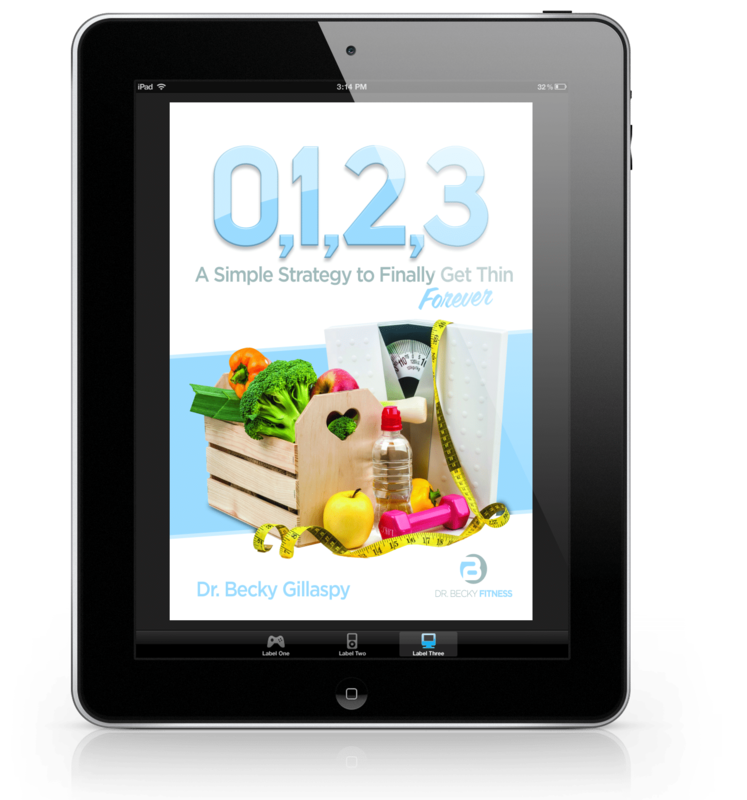 The 0,1,2,3 Diet Plan™ hands you a reliable fat loss strategy you can count on to lose weight quickly and consistently and keep it off forever. The plan is instantly downloadable and includes meal plans and recipes that have been precisely calculated with the right percentages of fat, protein, carbs, and fiber to get your body into a fat-burning state. This roadmap to a low-carb lifestyle is so clear and easy to follow that the learning curve is virtually non-existent. You’ll be following the plan by tonight! • You’ll learn how to put healthy fats into your diet to eliminate hunger and suppress your fat-storing hormone. • You’ll be shown the trick to keeping fiber high, but carbs low to shut down cravings. If you feel best when you know what to do and what to expect, then you’re in good hands with The 0,1,2,3 Plan. “Now, total lost to date: 34 pounds. I am so happy that I finally found a healthy eating plan that works for me——I love being back in clothes I haven’t been able to wear for years and I have so much more energy.” ~Sheila F.
You’re busy – 0,1,2,3 makes things easy. As soon as you download the plan, you’ll have an instant understanding of how to get started. While all of your friends are trying to convince themselves that the gargantuan weight loss program they just invested hundreds of dollars to buy is going to work, you’ll be kicking back with the peace of mind of knowing that you’ll get the same – or better – results by follow a simple formula that shows you how to eat foods from all of the food groups for the fastest weight loss you can imagine. You’ll quickly learn that this is a very non-traditional approach, and that’s what you want! Traditional plans require willpower to stay on track. But willpower is a fragile thing. Even low blood sugar from skipping one meal can destroy it. With The 0,1,2,3 Diet Plan™ willpower is replaced by motivation . In fact, your motivation grows every week! Motivation is built in and you even get planned days off! Unlike traditional diets that peak early and then taper off, with 0,1,2,3 your motivation grows as your weight continues to come off each week. And then your motivation goes on autopilot as you look forward to Day 41 and your first scheduled day off. This is a deserved day without rules and something you will definitely look forward to. That’s how you progress the entire way to your ideal weight – 40 days at a time. I’ll explain how that “free day” works inside the plan! The Hard Work Of Planning Has Been Done For You! The 0,1,2,3 Diet Plan has you covered from start to finish. And, I’ve even planned your meals for you! I’ve put together two full-week meal plans that are complete with hand-picked recipes from my family’s kitchen. You even get the grocery lists that are ready to be printed and carried to the grocery store. There’s no need to waste time searching for recipes. We’ve done the hard work of planning for you! You can lose weight on your own, but do you have the time to put together a plan and find the motivation? Maybe you do, but, how much time and money will that end up costing you? In just 5 minutes from now, you could have the complete roadmap in your hands. THE 0,1,2,3 DIET PLAN that walks you through exactly what to eat. THE 0,1,2,3 RECIPE BOOK to keep your stomach satisfied from breakfast to dinner. TWO FAST-START MEAL PLANS complete with ultra-convenient grocery lists that are ready to print and take to the store. I could go on and on about how this plan will work for you, but you’re probably wondering what other people, just like you, have to say. “I am very excited that Dr. Becky Gillaspy shared her 0,1,2,3 program with me. In the matter of a few weeks I have lost almost 30 pounds. More importantly, I have found a healthier eating life style that I can continue forever. The 0,1,2,3 program is simple and easy to remember and follow. I am grateful for Dr. Becky Gillaspy and her program, it has changed my life.” ~Jim R.
I’ve been developing this program for years. In the past, I’ve sold similar plans for $195 in the chiropractic office that I own with my husband. The Internet has allowed me to take my plan to a bigger audience. Instead of sharing this clear and effective approach with 100’s, I now share it with 1,000’s, which has allowed me to offer the program at the unbelievably low price of just $37. Not only is this price less than you’d pay to go out to dinner, it’s also backed up with a solid 60-day, money-back guarantee. If for any reason, you’re not satisfied with The 0,1,2,3 Diet Plan, you have a full 60 days to get your money back. Click on the link below and fill in the needed information, it only takes a couple of minutes. When you have that done, we’ll send you INSTANT ACCESS to The 0,1,2,3 Diet Plan™ along with the bonus items. 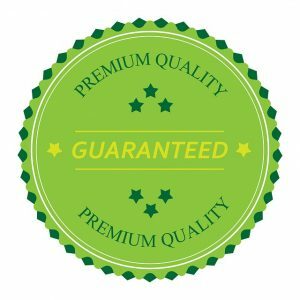 You will be completely satisfied or I will give you your money back – guaranteed. I truly believe this plan will work for you and I am willing to back that promise up with a full 60-day, no-hassle, money-back guarantee. I want you to try the program completely risk-free. Test the recipes, follow the plan and if for any reason you’re not thrilled with the weight loss results you achieve, then send me an email or submit a support ticket to Clickbank and I will refund your money and you keep the program. Yes, some people take advantage of this generous offer, but I’m willing to put up with a few dishonest folks to make sure that you get what you want. The bottom line is I earn your satisfaction or you don’t pay. You can begin today knowing nothing and in just 40 days you can have pounds of stubborn fat gone and be in complete control. “…when I tried to lose weight, I did manage to shed the pounds just as fast and dramatically on several occasions, but those were incredibly painful and exasperating processes that were far from healthy, let alone sustainable (tried an ultra high protein/low carb diet, a near-starvation diet, a diet of haphazard ‘water fasting’, etc). Inevitably, the weight piled right back on (with a vengeance, I might add) just as soon as my willpower ran out. 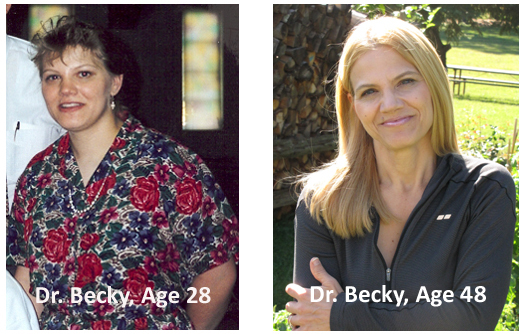 The beauty with Dr. Becky’s method is that it does NOT depend on willpower for success. While it does largely depend on determination, this is quite different from sheer obstinate willpower. Dr. Becky provides her clients with such a rational, scientifically-grounded, friendly and simplified ‘knowledge base’, that failure becomes quite hard to achieve. It’s effectively all down to a situation where SUCCESS = KNOWLEDGE + DETERMINATION. But what if some of us still find it hard to summon the requisite determination to make that formula work? Believe me, Dr. Becky’s approach (which equips you with all the essential operational tools and with ever such easy-to-follow and user-friendly guidelines) instils you with the necessary motivation to summon forth the hidden determination inside of you to make it work. Transform your body in as little as 40 days” – Mahmoud M.
Look ahead, what will be happening in your life 40 days from now? Do you have a vacation planned? Is there someone in your life that you would like to meet? Will you be asking for that promotion or looking for a new position? How much would the added self-esteem boost of looking and feeling your best mean to you? Life can change quickly, start today and in just forty days you will have the energy and confidence you need and deserve. P.S. 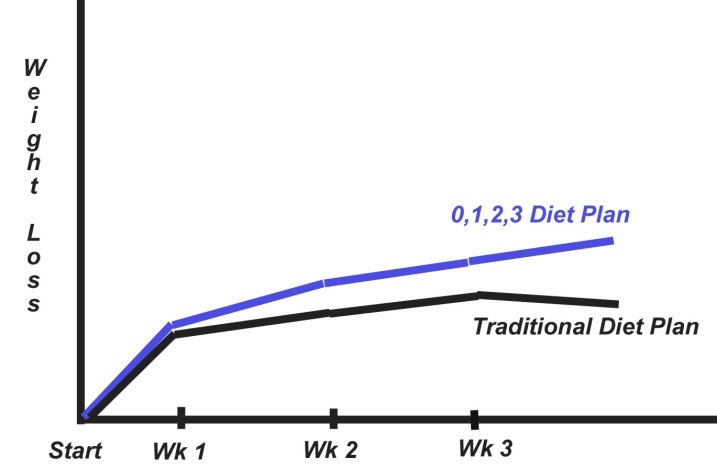 The 0,1,2,3 Diet Plan works because there are real health care professionals behind it. This is not a “here today-gone tomorrow” fad diet. P.P.S. Remember, that you can try the entire plan for 60 days and if you are not satisfied with the amount of weight you lose, your money is returned – no questions asked. That means you can lose weight, try the recipes and benefit from the bonus meal plans with absolutely no risk. I offer this because I’m confident that the program works. NOTE: Your order will be handled through ClickBank’s secure server. This program is a completely downloadable series of e-books. No physical products will be shipped. After you order, you will get INSTANT ACCESS to download the e-book and all the bonuses onto your computer. The format for all e-books is PDF. You will be able to view these e-books with ease on any device. Disclaimer: As with all diet programs, it is required that we identify that any testimonials do not necessarily represent typical results. Your effort will determine your results.